Surprise digital release brings collection to North America and Europe. If you're a fan of arcade-style scrolling shoot-'em-ups, you may already know that the Xbox 360 was a bastion for the genre over the past several years. The platform hosted ports of popular Cave-developed games like DoDonPachi Resurrection, Mushihime-sama Futari, and Akai Katana, along with other notable import-only releases like Eschatos and Bullet Soul. While many of these games were region-free and playable on North American Xbox 360 consoles, some were region-locked and required purchasing a Japanese console if you wanted to play the platform's full shmup library. In a surprise and largely unannounced move, one of these formerly region-locked releases is now available digitally via Xbox Live in North America and Europe for the first time ever. Shooting Love 200X collects developer Triangle Service's arcade-style shooters Exzeal, Trizeal Remix, and Minus Zero. 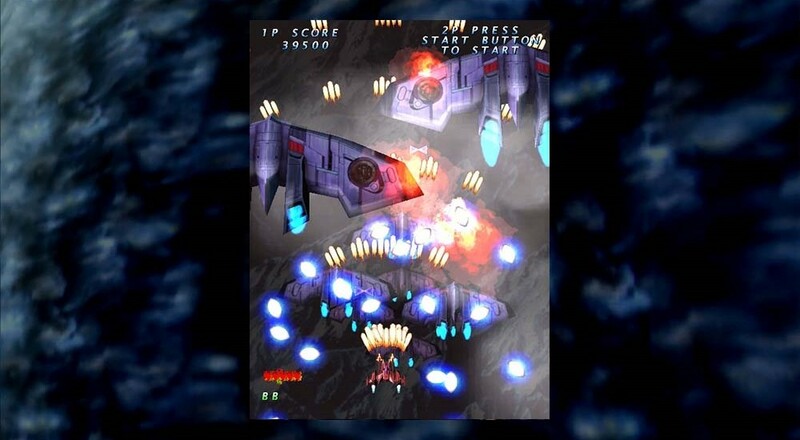 The package also includes a unique "Shmups Skill Test" mode that takes players on a chronological journey through shoot-'em-up history featuring appropriate skill-testing challenges for each era. Many of Shooting Love 200X's featured games include two-player simultaneous co-op campaigns, along with additional modes that support up to four players. Shooting Love 200X is priced at $19.99. Page created in 1.3935 seconds.